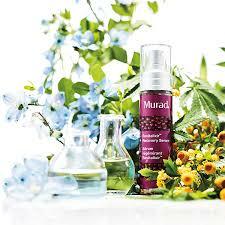 Murad introduce a new serum, designed to diminish the effects of chronic stress on skin. Revitalixir Recovery Serum will help manage the visible effects of day to day stress. According to Dr. Murad, life’s pressures affect the whole body including the skin. It directly causes various skin issues or aggravates exiting problems such as acne, rosacea, psoriasis and eczema. The doctor who was among the first to acknowledge the effect of stress on skin, and who even coined the term Cultural Stress to label the stress of modern everyday living, has now developed a special serum to help manage the visible effects of stress. 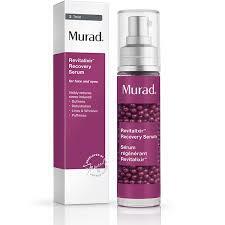 Murad Revitalixir Recovery Serum is a stress reliever for the skin. As the doctor explains, our hectic lifestyles can make us look up to 3.5 years older, so managing the stress should become a crucial step in every successful skin care regimen. The special new formula provides a unique blend of ingredients that have been shown to have a positive effect on the skin issues caused by stress and high levels of cortisol. The serum combines moisturizing hyaluronic acid, invigorating caffeine, and a skin-relaxing blend of neuropeptide, paracress, and cannabis. Just like SPF protects from sun damage, Revitalixir corrects the effects of aging from stress - dullness, dehydration, wrinkles, dark circles and puffiness. The Revitalixir Recovery Serum formula is separated into oil-based spheres and water-based gel. 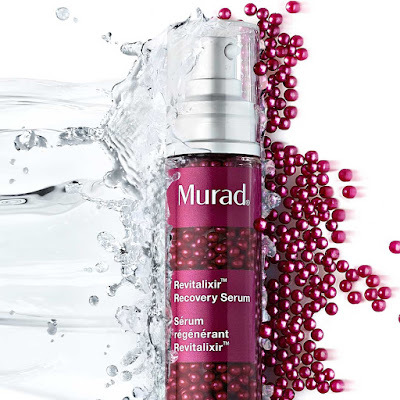 In this way, Murad eliminated traditional binders to allow for a more powerful, concentrated formula, and a better delivery of actives. The product is clinically tested for sensitive skin and suitable for all skin types. Murad Revitalixir Recovery Serum, launches August 9th, available from murad.co.uk, and leading Murad stockiest.